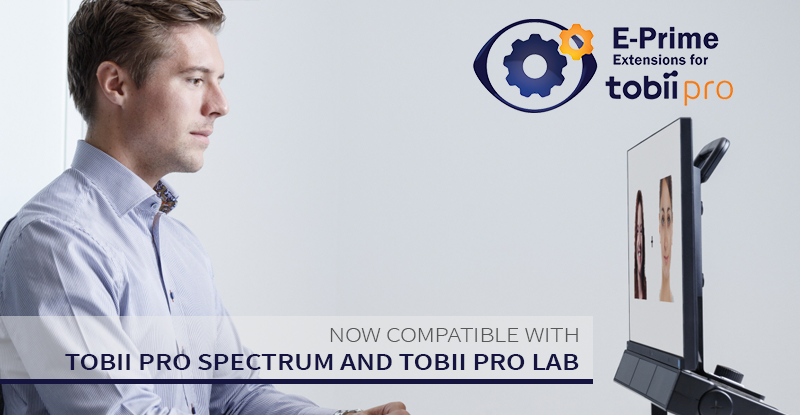 Now compatible with Tobii Pro Spectrum and Tobii Pro Lab. 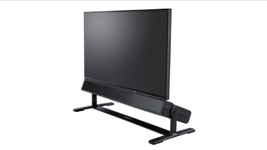 E-Prime® Extensions for Tobii Pro (EET) can now be used with Tobii Pro Lab. The 2-in-1 solution enables researchers to create and run sophisticated eye tracking experiments – including gaze-contingency – using E-Prime’s powerful design and stimulus presentation features and process the raw gaze data in Tobii Pro Lab with dedicated gaze data analysis tools. E-Prime® Extensions for Tobii Pro is intended for research use only. 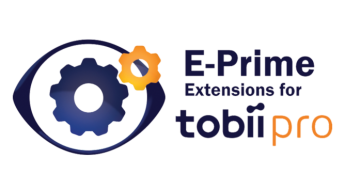 If you are an E-Prime 2.0 user, you will require E-Prime Extensions for Tobii 2.0. 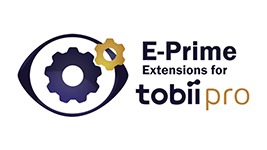 Does E-Prime Extensions for Tobii register pupil sizes? Yes, in the eye gaze data file, E-Prime records the pupil size in millimeters provided by the Tobii Pro Hardware. 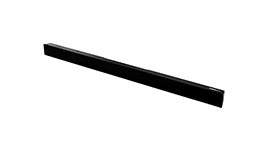 Is it possible to create an analogic scale (grading from 1-100) in E-Prime and use in Tobii Pro Lab? Yes. 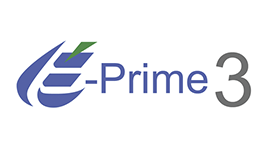 E-Prime 3.0 has a Slide Slider Sub-Object that makes this type of experiment very simple! Can we use the synchronization of E-Prime and Tobii Pro to engage other equipment, like EEG? 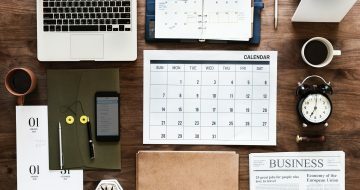 The only timing synchronization that we guarantee is the latency correction and independent clock drift connection between Tobii Pro and E-Prime Extensions for Tobii Pro. Depending on the length and type of EEG experiment you are doing, you will want to consider the implications to your analysis. We don’t address timing drift at this time with any other EEG system besides Net Station by EGI. You will need to test the synchronization yourself to see if it is adequate for your situation. Is calibration in E-Prime done within an experiment (for each subject) or does it have to be done separately? Subject calibration can be done in E-Prime. 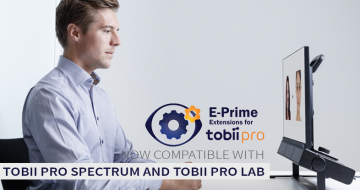 The calibration feature included in the E-Prime Extensions for Tobii Pro allows you to calibrate a participant from within E-Prime before the start of an experiment. This eliminates the need to calibrate in Tobii Pro Lab and then switch to E-Prime to run the experiment. Can you use the calibration package call in the middle of the experiment? 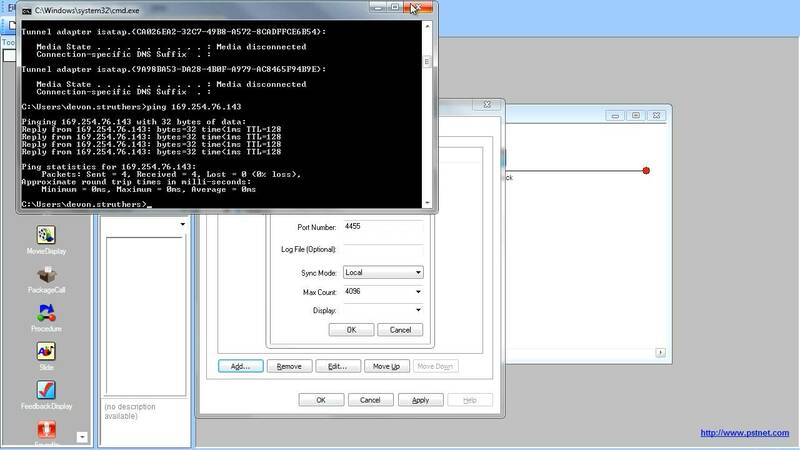 Yes, you are able to use the calibration PackageCall wherever you would like in the experiment. Can we keep the accuracy of calibration if I use the calibration within E-Prime? If I can, where should I see after an experimental session? No, the calibration accuracy is not saved. I conduct reaction time studies, where participants respond within 1s. 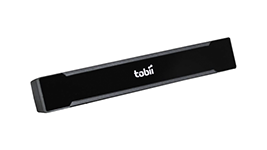 How accurate is Tobii Pro in capturing gaze with a 100ms to 1s time frame? The Tobii Pro eye tracker sampling rate will affect this. For 60Hz, you will get a gaze sample every 16.67ms, for 120Hz every 8.3ms, and for 300Hz you get a gaze sample every 3.3ms. The gaze data samples are time stamped very accurately by the internal TETServer inside the eye tracker hardware.